Before taking advantage of the free community edition, click here to register an account. To get your free license, click the button below and download Nevron Vision for .NET. Once you install the component use the following license keys to unlock the Community Edition of the Chart for .NET. *Nevron Chart for .NET Community Edition is 100% free and community supported. How to get the free community edition? Before you get a free license make sure you have an account on our website. Click on the "log In" tab in the right top corner of the website. If you already have an account you can simply Log in and download the product you wish to get a free license for. 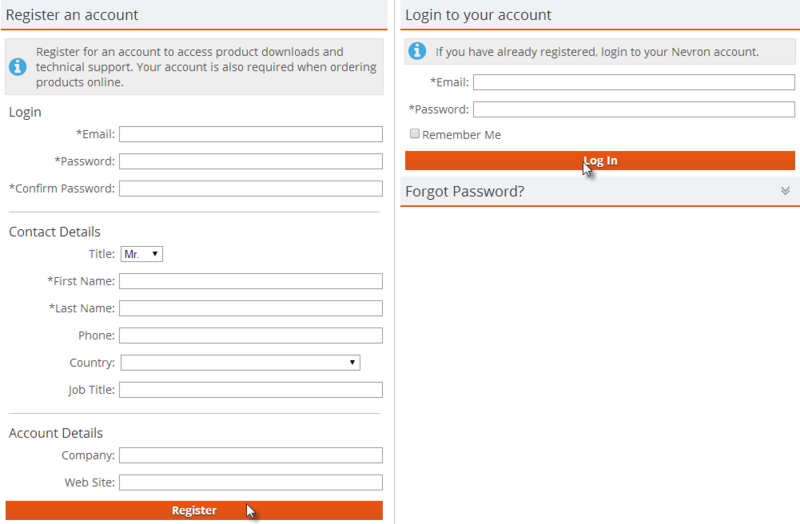 If you don't have an account, you need to register on the site so you can download the product. Make sure you fill up everything in the registration form as this information will help us provide you only with the most relevant to you information. Run and install the product after you have downloaded it. Nevron Chart for .NET licenses are perpetual, which means that the license key you are provided with this license will forever unlock the specific version of the product. For more information please refer to our Help Documantation. If the information you are looking for is not available, please feel welcome to post your question in our forum.